I am strangely obsessed with scrubbing my face. I love feeling really clean, glowing skin and I only get that gorgeous feeling with exfoliators! That being said, I have had to cut down on the scrubbing as I'd be left with no skin with the way I was heading. 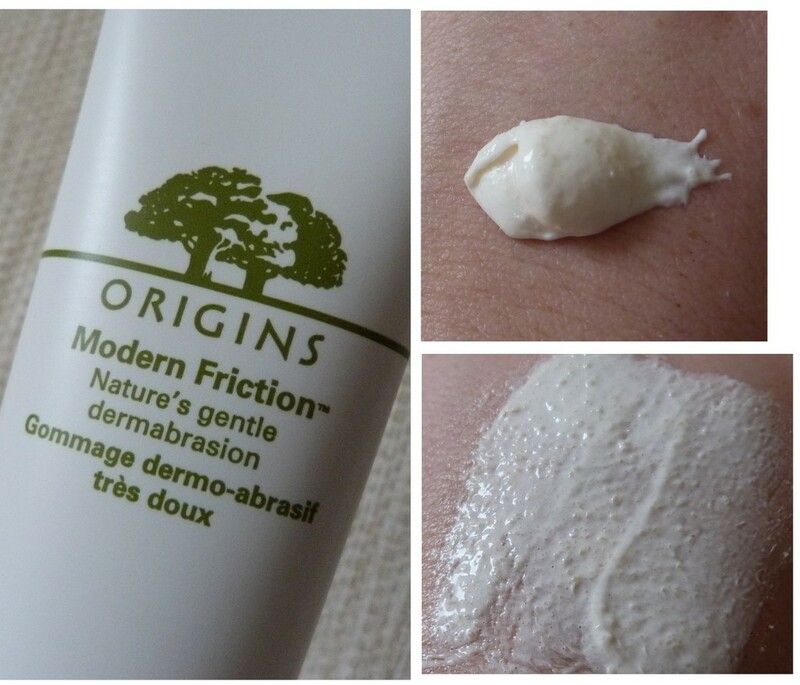 When Origins Modern Friction (€44) scrub arrived on my doorstep, I was excited as I've used it in the past and loved it, but this was Pre-Blog when I'd just have my friends to babble to about products and they'd no interest whatsoever! So here's my little review of "Nature's gentle dermabrasion". The scrubbing agent in this natural product is rice starch and it's less harsh than most other exfoliators I've used in the past. It's lightly scented and the presence of lemon oil helps brighten the skin along with aloe to help soothe it, all giving you a perfectly exfoliated visage, but without irritation. Texture wise, it's a weird one! It's really thick, kind of like porridge and as you rub it over your dry face, it feels almost sticky. I like to apply it, rub it in, then add some water to it and scrub some more. The water loosens up the cream and you can really get stuck in and give yourself a proper exfoliation without being abrasive! My skin is left smooth, soft and glowing afterwards. A really gentle but effective scrub a dub dub and is available on Origins counters. Go and test it on the back of your hand and you'll be hooked!